The other morning, Jimmy called with the news that there was a gorgeous sunrise and I should peek out the window at it. All that I could see was fabulous and I knew behind all the houses, it was even more colorful and full of light. 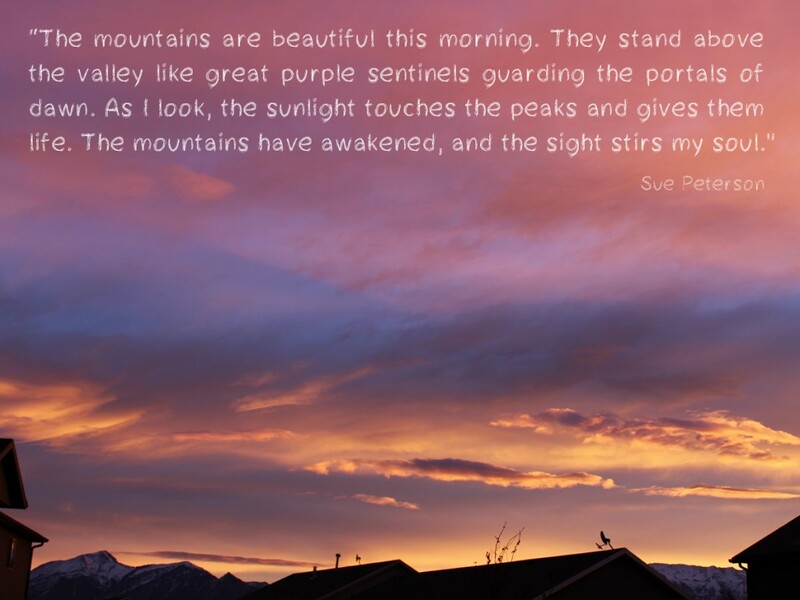 I’m grateful for tender mercies such as lovely sunrises and sunsets that remind me of the LIGHT God gives to us daily, whether in nature or in the scriptures or whisperings of the Holy Ghost. Something you’ve never done before? to offer support and comfort and prayers. Such as happened to me with Kara Tippetts with Mundane Faithfulness. Only I can’t figure out how to contact her via email. but when the Spirit calls, I’m learning to hearken. and thus, all these thoughts may just be for me and my spiritual education. But … My heart has prayed for Kara & her family. I felt inspired to put her name on the temple prayer role. Kara is a woman of faith. She has written much of Grace and of strength in trials. I whole-heartedly agree with her perspective on Grace. I, like Kara, believe that God strengthens us through our trials. I believe that His grace strengthens us daily. 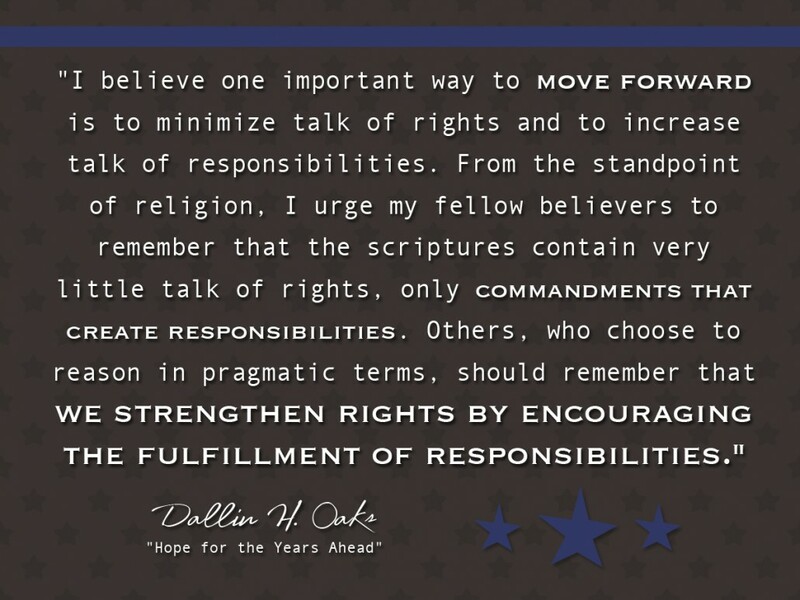 These are gospel truths I am grateful for. 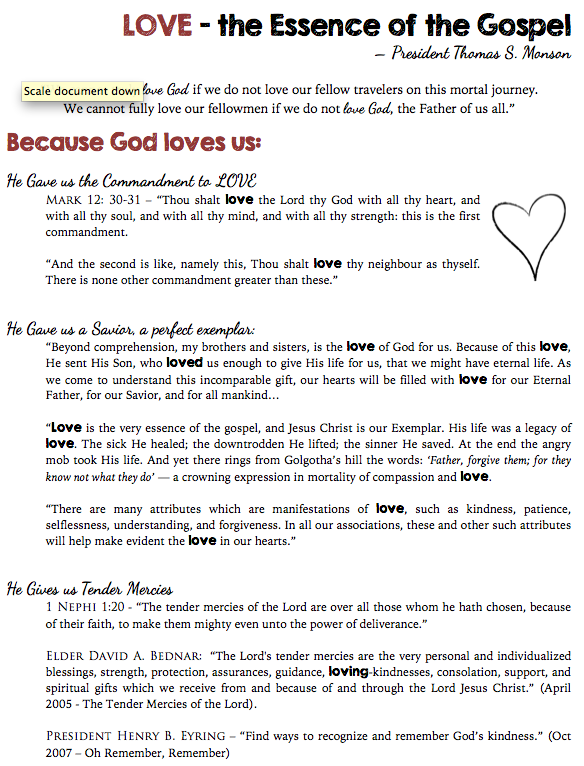 In connection with Thanksgiving, I wanted to start a new way to recognize and remember God’s blessings towards us. 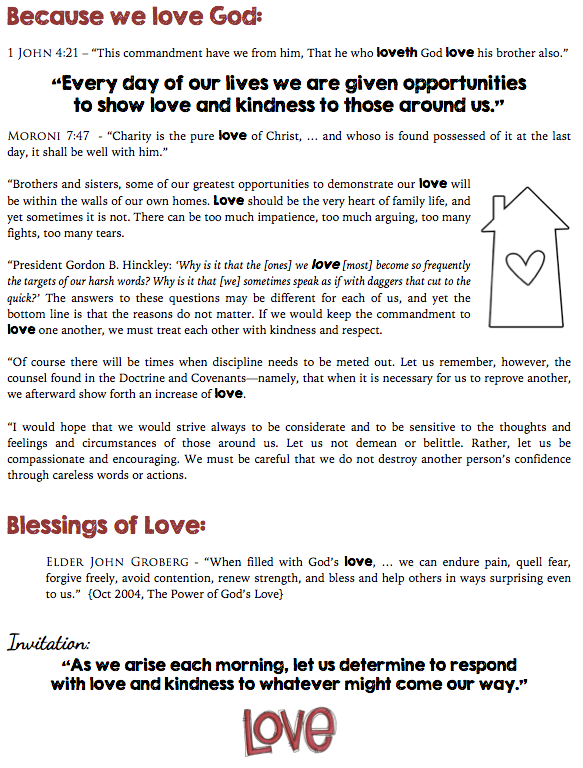 We started this last night at family home evening and I think it will be a great exercise for our family. It may take some thoughtful pondering to recognize important and deep blessings. But I’m excited to do this for years to come in our new little notebook. 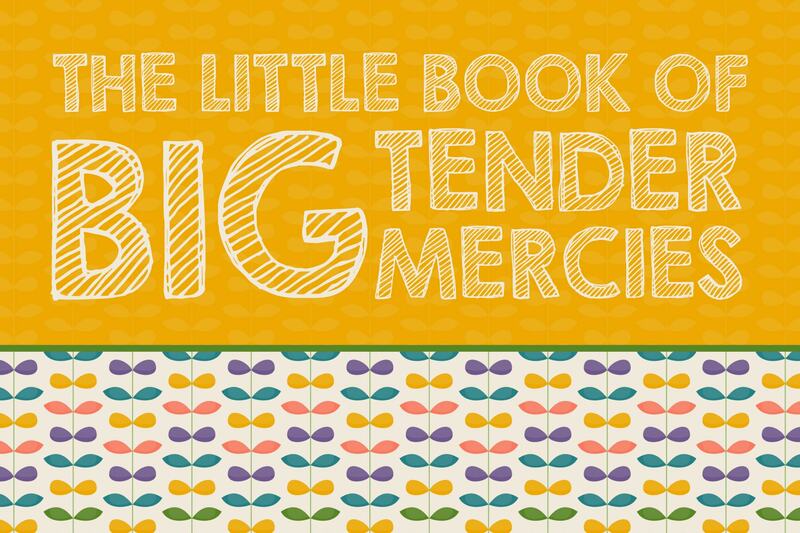 Nephi shares many examples of these Tender Mercies given them in the wilderness. 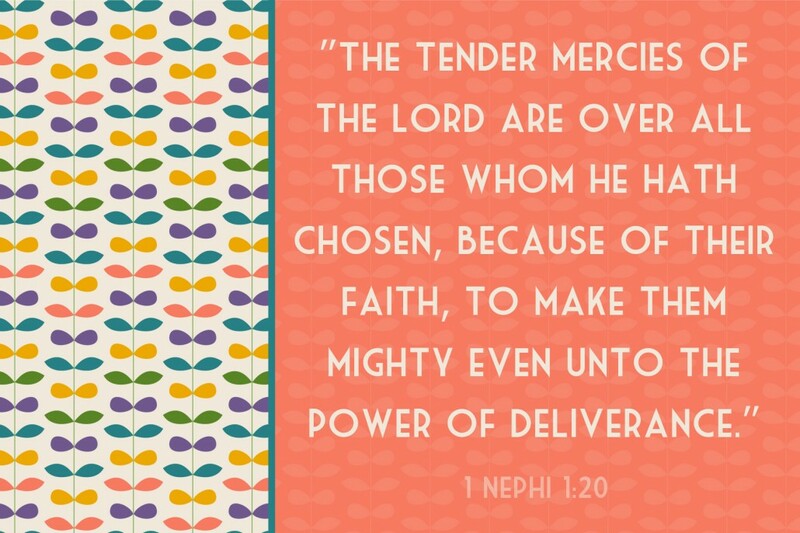 1 Nephi 17: 1-3 are favorites of mine because he shares about ways the women were strengthened. 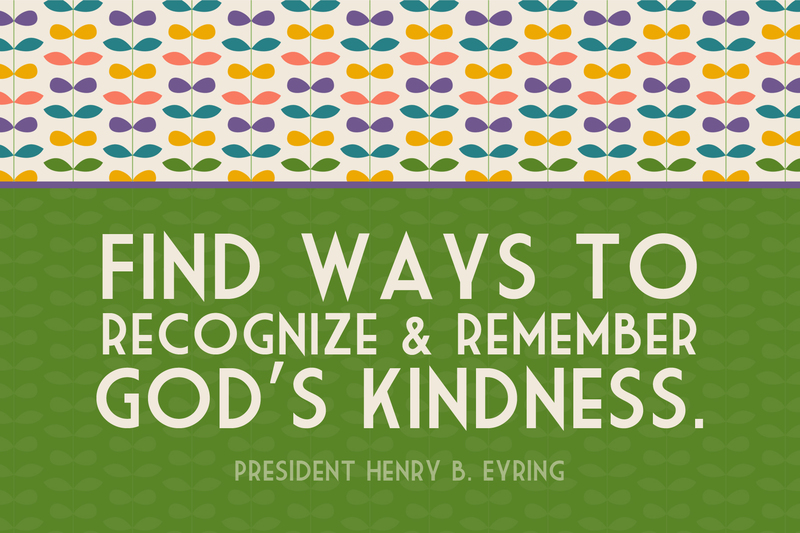 Hence, our nightly routine of recognizing God’s kindness in our lives. I imagine we’ll get better at this as we go along. Wink. 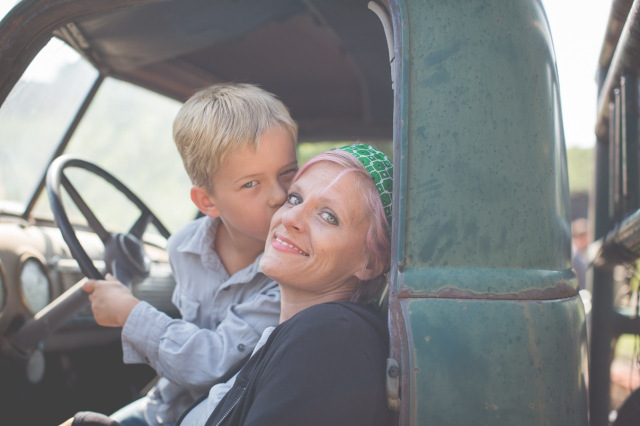 Has Terminal Breast Cancer & is mother to 4, wife to a preacher. “It was a long, hard battle. Words cannot do the battle against cancer justice. We were left weary, broken, but changed. 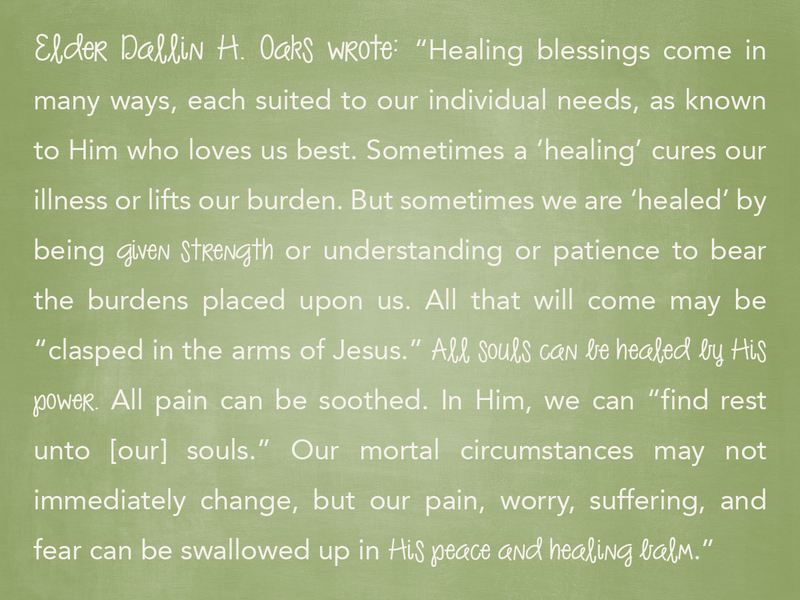 Suffering brought us closer to one another, to Jesus and our community. God has brought me through tremendous trials to prove Himself alone able to give me the strength for this kind of humility. “It currently appears that I’m headed into another difficult battle. Join me as we seek to live faithfully in the midst of suffering. “In the brokenness of our unmet expectations of life, will we look for Jesus and His abundant love? Or will we tumble into bitterness and anger that leave us utterly self focused and disappointed by the hard in our story each of us are asked to receive. 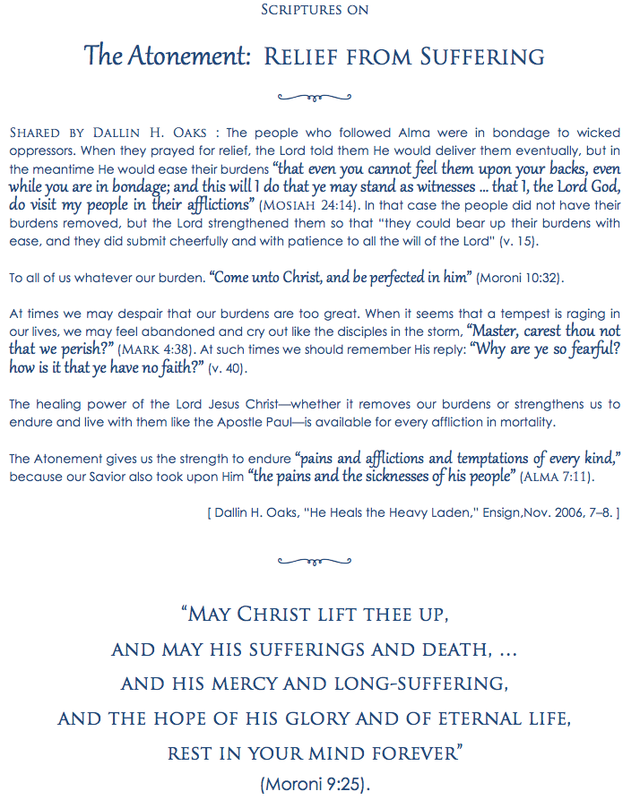 The Atonement offers us three conditional blessings. 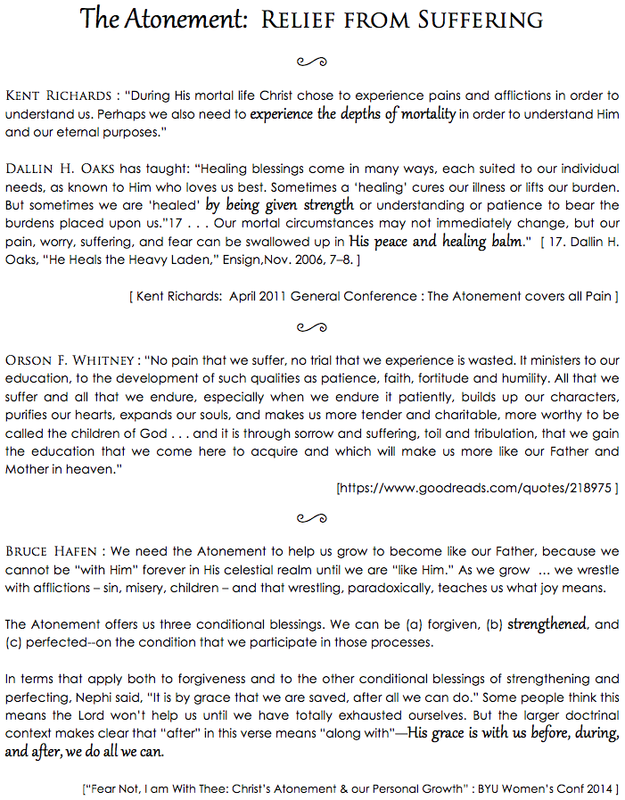 We can be (a) forgiven, (b) strengthened, and (c) perfected–on the condition that we participate in those processes. In terms that apply both to forgiveness and to the other conditional blessings of strengthening and perfecting, Nephi said, “It is by grace that we are saved, after all we can do.” Some people think this means the Lord won’t help us until we have totally exhausted ourselves. But the larger doctrinal context makes clear that “after” in this verse means “along with”—His grace is with us before, during, and after, we do all we can. Said of Kara Tippetts: Teaches us to move away from fear and control and toward peace and grace. Most of all, she draws us back to the God who is with us, in the mundane and the suffering, and who shapes even our pain into beauty. Dealt with melanoma cancer years ago. Terminal cancer came back at 26 weeks pregnant. She delivered baby #6, Luke, prematurely because her body was shutting down. He lived several days and passed from an infection. They didn’t expect her to live even a few days. but she has lived for weeks! She is a strong soul who keeps hanging on to her last moments. This suffering woman is dying in dignity and peace. “I have easily accepted that my being taken is just part of God’s plan for me and my family. I don’t look at it as unfair or tragic, just part of the plan God has created for our little clan to help us grow the very best way into what he wants us to become. “These thoughts give me great comfort. I do not worry, I am filled with peace because of the assurance that God has given me that those I leave behind will be happy, righteous and stalwart. I’ve always thought I was raising warriors, this trial will make them strong and close to Heavenly Father. The moments related to the beginning & ending of mortal life are sacred for those involved. 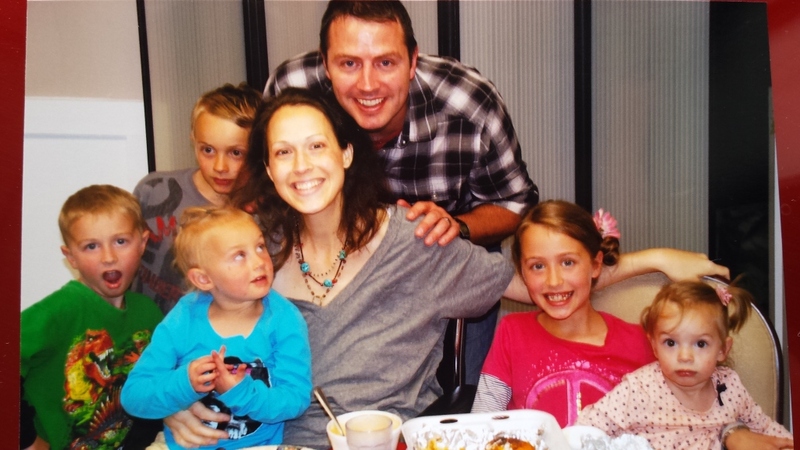 Kathy is spending last tender earthly moments with her parents, her husband, & her children. She recognizes the goodness of God, a loving Father, who strengthens us and teaches us through mortal challenges. She knows she will see them again. Age 29. Just married. Excited to start a family. Wanted to leave a Legacy so she advocated for Death with Dignity for terminally ill Americans. Didn’t want to suffer through seizures, debilitating strokes, a slow death – with low-quality health existence. Didn’t want her family to have to see her suffer and take care of her in her last days. Ended her life with a pill prescribed by a Doctor on November 1 surrounded by family. My heart hurts for her and her family. There are such mountains to climb in life. There was never any mention of God or religion in the media about Brittany. I feel she did what she thought was right based on the knowledge she had. My thoughts on the Sanctity of Life. … and that life is eternal. We will be resurrected to a whole physical and spiritual body. We don’t appreciate the JOY without experiencing the HARD. Highest highs … lowest lows. Adam & Eve knew no joy in the garden of Eden because they knew no pain. Because we exist in mortality we have deep painful moments in life … we have high Joyful moments … equal and opposite reactions. Marie Hafen: We hope that as we increase our understanding of what Christ has done for us, we might also increase our willingness to submit to whatever He may ask of us. 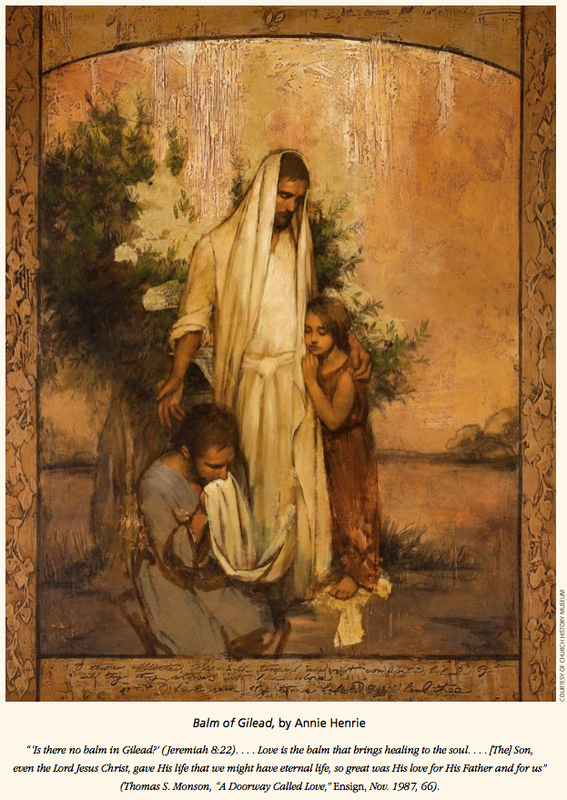 Bruce Hafen: “the story of Christ’s life is the story of giving His Atonement. The story of Adam and Eve is the story of receiving His Atonement” We need the Atonement to help us grow to become like our Father, because we cannot be “with Him” forever in His celestial realm until we are “like Him.”. . . Then, as we grow up, like our first parents, we wrestle with afflictions–sin, misery, children– and that wrestling, paradoxically, teaches us what joy means. Remember when I dropped off Kneaders bread & the above message … on Halloween afternoon to the gals I visit teach. Lame! But as lame as I felt to be a ‘last-day-of-the-month-sorta-visiting-teacher’, I wanted them to know I was thinking of them. – I love getting to know sisters I wouldn’t have normally reached out to. Chatting with other women is good. – Reaching out to others helps me stop being so self-centered … or my-family centered. I don’t know that I help anyone, but it strengthens me to look outside my present circumstances. p.s. 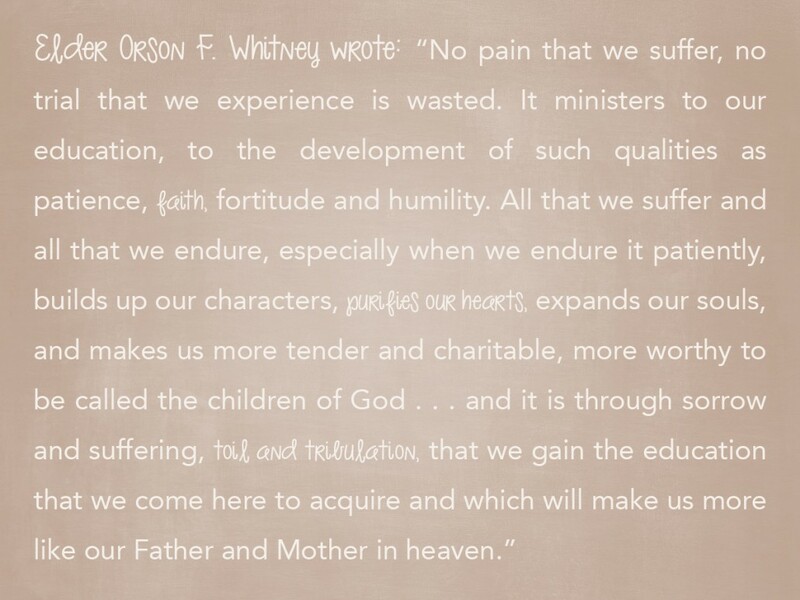 I loved, loved this message on the bread of life. 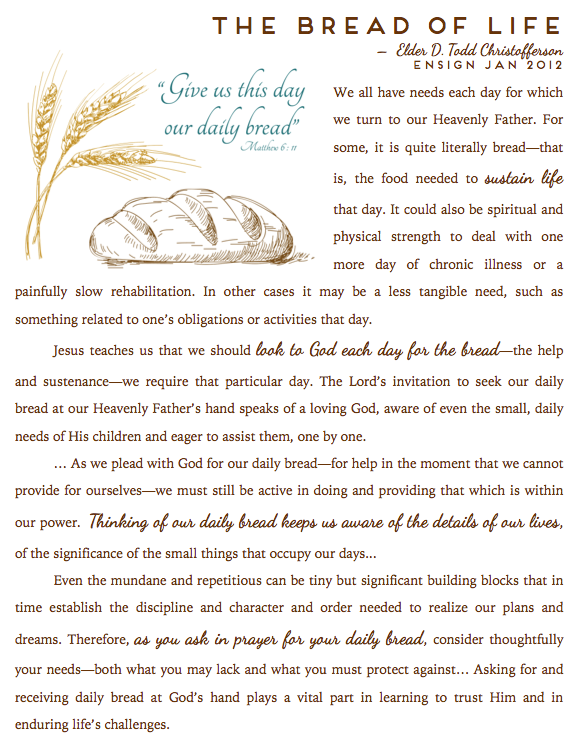 especially on friday, the 31st, i needed this message… that God gives us nourishment every day. He will give us what we need on that day, if we look to him. Like the Israelites who received manna from heaven each day, we can have that same blessing. Pray specifically for things we need. Still make efforts to move forward. He will bless those efforts. This entire talk by Elder Christofferson is worth rereading every once in a while. Really great to feel the strength that comes from God when we come closer to Him. My nephew Trevor is serving a mission in South Korea. I love reading his updates that my sister Amy posts. His words are full of testimony and encouragement. Such a good kid! I especially liked his last post that was full of humor & JOY. p.s. I think he looks so much like some of the Price boys (a little Joey, a little Jacob, a bit of Gerald). 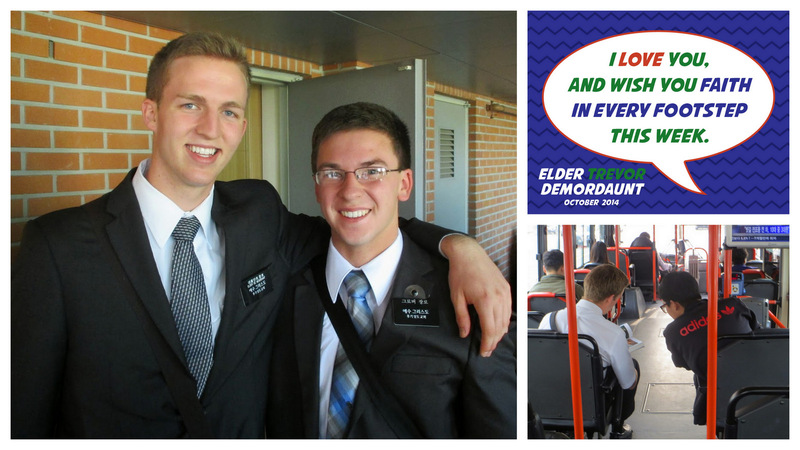 With some Wade & Paul DeMordaunt thrown in, he sure makes for a handsome missionary!